Asamoah Gyan looks for yet another spell on the sidelines after suffering injury while playing for Turkish top-flight side Kayserispor in their friendly against Adana Demirspor on Saturday. The Black Stars skipper was replaced in the 53rd minute of the match by Kucher after clutching his thigh in what looked like a hamstring injury. Gyan, who had recently recovered from an injury that kept him on the sidelines for a while, was being prepared for next week’s league match against Sivasspor as injuries have ravaged the Kayserispor squad. 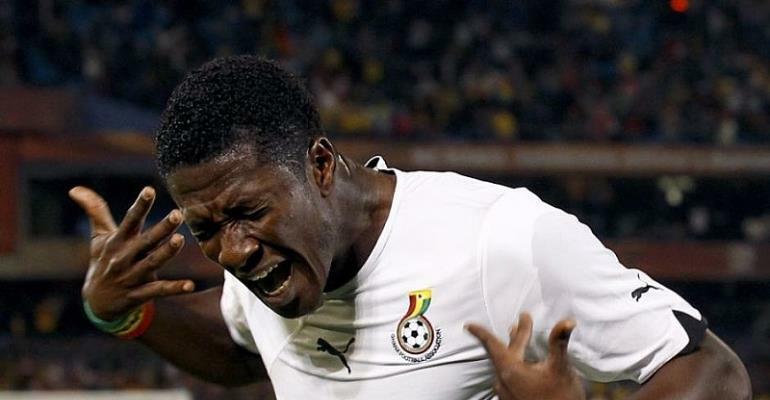 He remained on the ground as the medical team ruled that Gyan could not continue the match.